This is only a sampling. There are many more! Our goal is to ensure that our students receive a meaningful, rigorous field experience that will set them on paths to becoming professional social workers. You too can assist us in achieving this goal. If you are interested in becoming a field agency, please review the Field Agency Information Guide below. HOW DO WE BECOME AN AFFILIATED FIELD AGENCY? Please note: If you require revisions to our standard Affiliation Agreement, please reach out to us with your concerns at cswfield@osu.edu. Please note: This can be done after our office reaches out to you. You don’t have to reach out to us unless you prefer to! Each step must be completed, but not necessarily in this order. A member of the field education staff will follow up with you once your Prospective Field Agency Application has been received and processed. You will receive a welcome e-mail from our Field Director with access information to our database when all of these steps have been completed. WHAT’S NEXT AFTER WE’RE APPROVED? There are just a few things to do before your agency is ready to have students. First, please have your agency’s education coordinator go through your agency profile and make sure all of the information inputed in the database is correct, including having all of the prospective field instructor’s accounts made and linked to the agency. If there is incorrect or missing information on your profile page, the education coordinator should be able to edit it. If you have any questions, please e-mail cswfield@osu.edu. Second, and the welcome e-mail from our Field Director should mention this, each person you designate as a field instructor must complete our Field Instructor Training (FIT) class. Each person to complete this will receive a certificate for 3 supervision CEUs. Sessions are free and offered in-person, as well as online. Each field instructor should already have their account set up in the field database, so they would simply log on and schedule for one of our FITs. For our in-person sessions, please register in the field database and show up at the address provided on the date and time indicated in the event. Please come with a pen and something to write on. No food or drinks are provided. There is typically one short break in the middle of the session. Please note: We do not typically pay for participant’s parking for these events. Also, we will manually create the CEU certificates after the session is over and e-mail them out within one week of the training. For our online sessions, we will close registration in the database the business day before the session opens so we can send on the registration list to our IT department. They will get everyone added to our system and then you’ll get an e-mail from them. This e-mail will likely come the day the class opens or the day after. That e-mail will contain directions for accessing the online training session. You will likely need to make an account to do this. At this point, you can go through the training at your own pace, but we do ask that you complete it within four weeks if possible. We audit the online sessions every two weeks to see who’s completed it. At that point, we manually create and e-mail out the CEU certificates to the participants. Please note: The person whose name is registered to the online account is the one who will get the credit after the class is complete. Make sure that you enter your own information and you make your own account. Do not use someone else’s or you’ll have to take the class over! 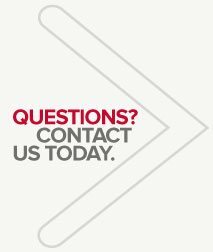 Should you have any further questions about the process of becoming an affiliated field site for our students, please contact our office at 614-292-7686. You can also e-mail cswfield@osu.edu.